“The most pleasing part of this journey has been that Shannon & Co have quickly connected with our brand and found a creative way to help us take our story to a larger audience. New members joined GMHBA (direct sales) +52.5%. 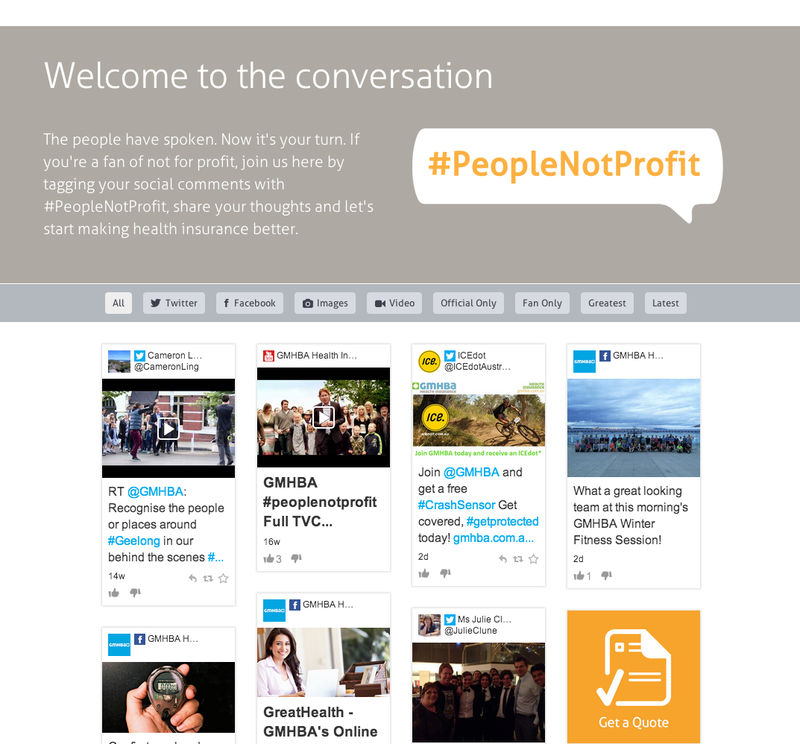 Using the campaign theme of #PeopleNotProfit, Creative Outlet with Shannon & Co produced a brand switching campaign for GMHBA Health Insurance. This was GMHBA’s first foray into the Melbourne metro market, integrated across multiple mediums, radio, print, POS, digital and social media. While the campaign needed to build awareness, ultimately it had to contain compelling retail messages that delivered cut through. GMHBA’s new brand ambassador Cameron Ling and the community are key elements in the campaign. representing both a regional connection and brand essence. By using a production set up of multiple cameras and a nimble crew, Creative Outlet was able to shoot material for extra product versions on a limited budget.